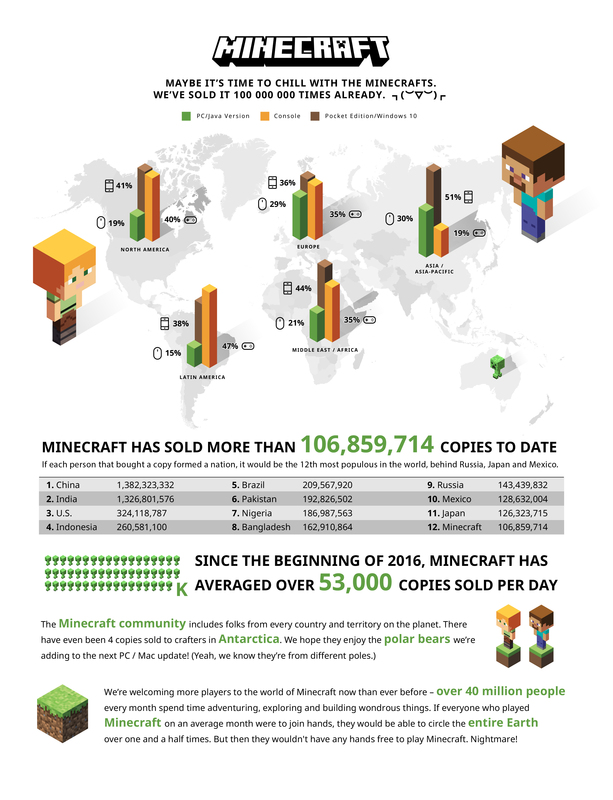 Microsoft and developer Mojang have cause to celebrate today; Minecraft has now officially surpassed 100 million sales worldwide, and shows absolutely no signs of slowing down. Accounting for sales recorded on PC, consoles and mobile devices, the exact figure stands at 106,859,714, but just as mind-boggling is that, since the beginning of 2016, the creative sandbox game has sold an average of 53,000 copies every single day. The Minecraft community includes folks from every every country and territory on the planet. There have even been 4 copies sold to crafters in Antarctica. We hope they enjoy the polar bears we’re adding to the next PC / MAC update. 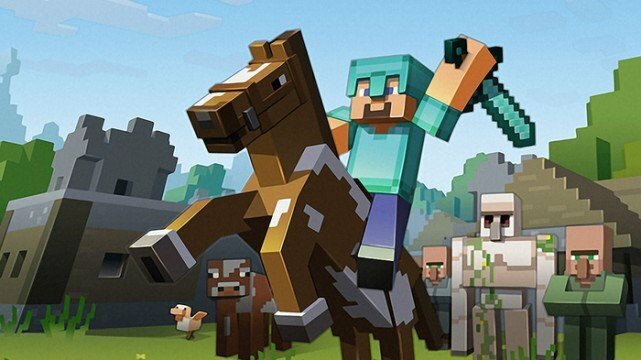 With over 40 million people logging in to play Minecraft on a monthly basis to create their own worlds and enjoy other people’s, there’s really no denying that it’s one of the must successful entertainment products ever created, capturing a global audience with its simple yet addictive premise. Everything from recreations of the Star Trek Enterprise to cross-overs including Nintendo’s Mario and Star Wars skins are being introduced on a regular basis. Will the bubble ever burst? Not likely.